MANILA – Valerie Concepcion surprised her Instagram followers on Wednesday night as she shared a photo of her hand with what looks like an engagement ring. Her non-showbiz boyfriend, identified by fans as Guam-based court clerk Francis Sunga, can also be seen in the black and white photo posted by the actress. 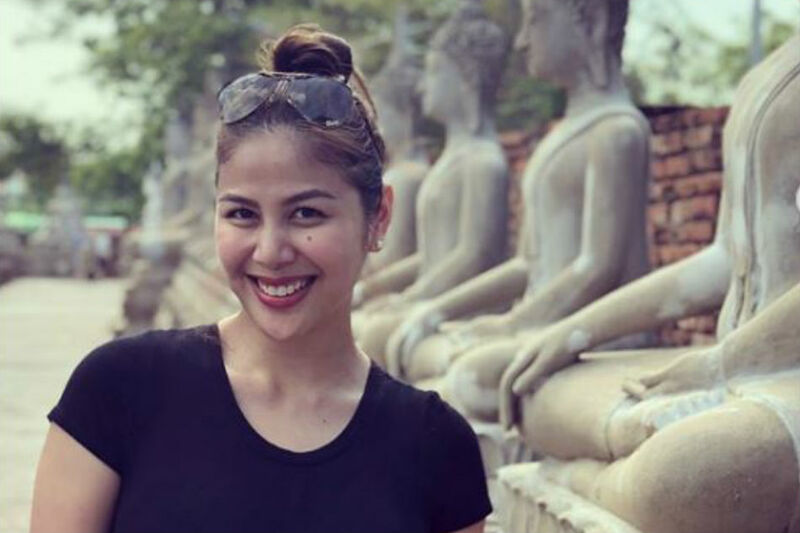 Concepcion’s photo was flooded with congratulatory messages from both her fans and fellow celebrities like Ana Roces, Isabel Oli, Maxene Magalona, Denise Laurel, RR Enriquez, Carmen Soo, and Yasmien Kurdi. The actress has yet to directly confirm that she is indeed engaged. Based on her Instagram posts, Concepcion and her boyfriend have been dating for a little over a year. They marked their first anniversary last January.